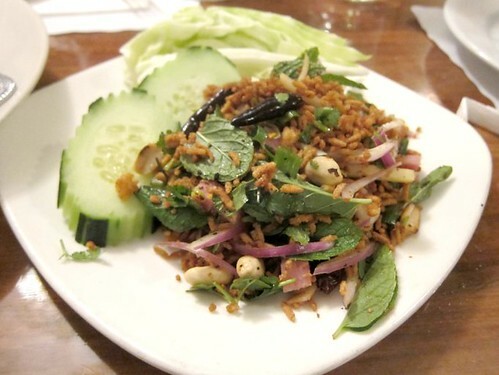 Lotus of Siam has been touted as the best Thai restaurant in America, thanks to Jonathan Gold's review in Gourmet Magazine, although some blog reviews say that it does not live up to the hype. By chance, Gastronomy Blog reviewed the restaurant right before my trip to Vegas with friends, and it sounded so good that we decided to go there for dinner and see for myself. The restaurant looked small and sketchy from the outside but was actually big. We did have to wait half an hour for a table even though there were about half a dozen empty tables. Well, once we got seated things moved along smoothly. A nice mix of flavors and textures makes it a great light appetizer. Crispy and crunchy, tangy and spicy. 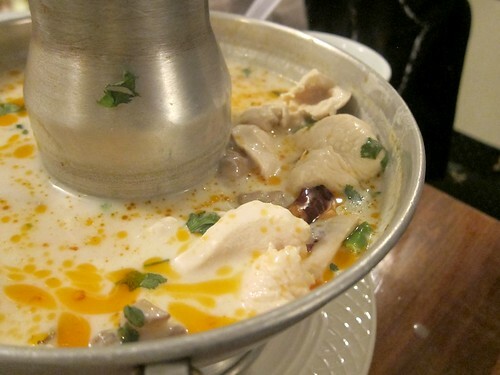 I like tom kah kai better than tom yum because of the richness that coconut milk adds. 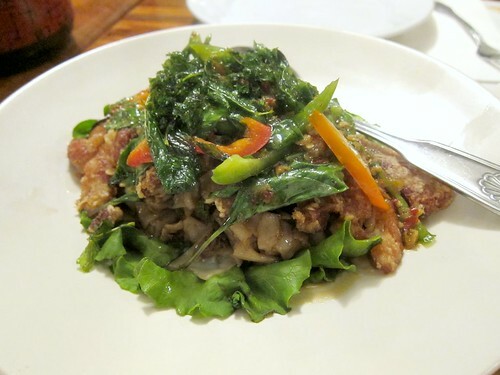 Interestingly, this beef "salad" was the spiciest dish we had (it wasn't that spicy thought). 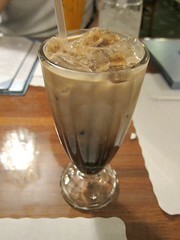 Luckily I had some Thai iced coffee to cool my tongue down. While I don't normally order pad thai and tend to want to try more interesting dishes, I am so glad my friend ordered it. This might very well be the best pad thai around. The thin noodles had a nice texture and it wasn't overly sweet as it can sometimes be. And really, beef wins over chicken any day. This was indeed a great dish! The duck was both fatty and crispy, and was complemented well by the moist noodles. Between the two, your mouth will be filled with juices. The crisped basil on top added nice a layer of texture and aroma. I would definitely order this again and you need to as well. 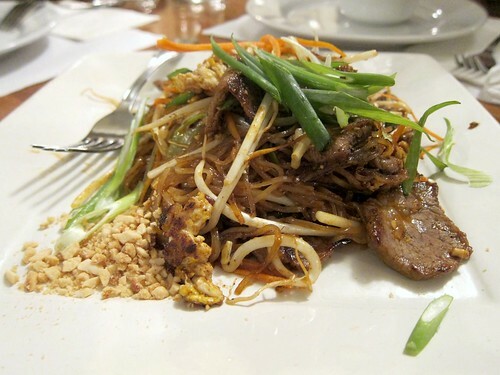 Is it the best Thai restaurant in North America? 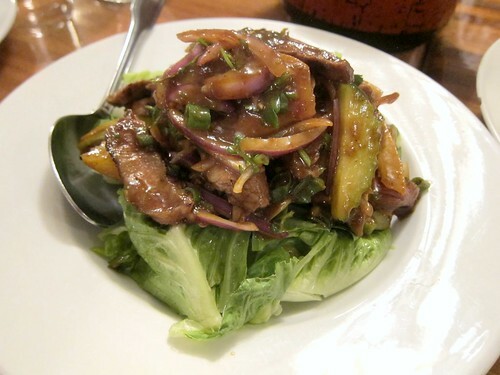 I can't say, but it is certainly a great Thai restaurant and way better than the average. I think the real appeal of this restaurant is their extensive riesling list. Not too many Thai restaurants have a wine list that matches so perfectly (and reasonably priced) with the cuisine. I agree with your assessment, is it the best? *shrug* but it's very good! I have friends who travel to las vegas to eat there which to me is mind boggling! I'm going there for lunch for punk rock bowling festival during May!